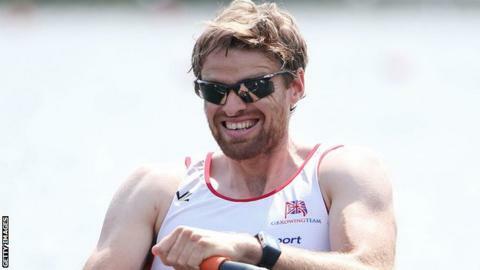 Single sculler Alan Campbell is one of four Coleraine rowers named in the Great Britain squad for the World Championships in France. Campbell was left out of the GB team for last year's event in Amsterdam. He secured his place on the back of continually improving performances which culminated in a bronze medal at the last World Cup regatta in Lucerne. Richard and Peter Chambers, plus Joel Cassells, are also selected for what is also the Olympic qualifying regatta. The GB lightweight double sculls crew is unchanged, with Will Fletcher and Richard Chambers, London 2012 silver medallist in the light four, together again after their partnership yielded two podium finishes to date. Peter Chambers joins Mark Aldred, Chris Bartley and Jono Clegg in the lightweight men's four. Cassells, European champion in the lightweight men's pair in May, takes his place in the pair with Sam Scrimgeour. The regatta takes place from 30 August to 6 September.